In this post, we discuss the new ID rules for domestic air travel and how their enforcement has been pushed back to October 2020. Good news for air travelers! U.S. domestic air travelers were granted a reprieve on meeting new flight rules. All 50 states have met the January 22, 2019 deadline to become compliant with Real ID or were granted an extension to do. This means that passengers can continue to use their driver’s licenses at airport security checks for domestic flights. 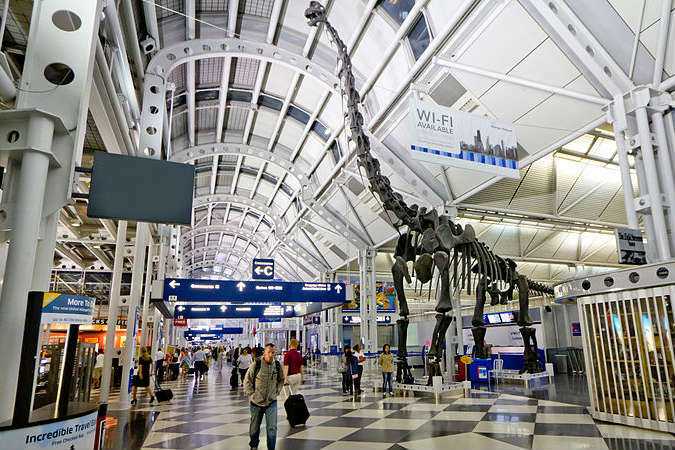 Your current Illinois driver’s license or ID card (DL/ID) will be accepted at airports, military bases, and secure federal facilities until Oct. 1, 2020. The Real ID Act was passed by Congress in 2005, in the wake of 9/11, to raise security standards nationally for all state-issued driver’s licenses. Take a quick look at your driver’s license. Does it have a star in the upper right corner? 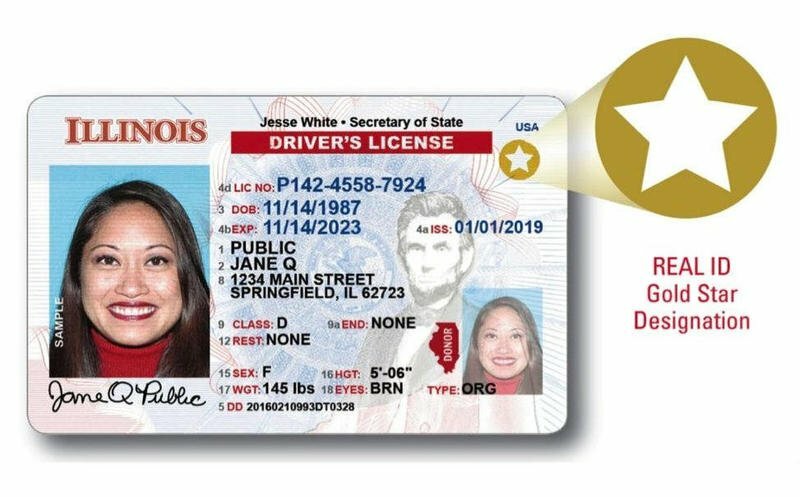 The new REAL ID compliant driver’s licenses have stars in the upper right corner to show that they meet current security standards. O’Hare International Airport photo is licensed under the Creative Commons Attribution 2.0 Generic license. Original photo by Nicola has been cropped and signage was altered to remove logo. The Law Offices of Lora Fausett P.C. provides real estate law services including loan modifications, buying and selling assistance, short sales and deeds in lieu, mortgage foreclosure defense, and more.